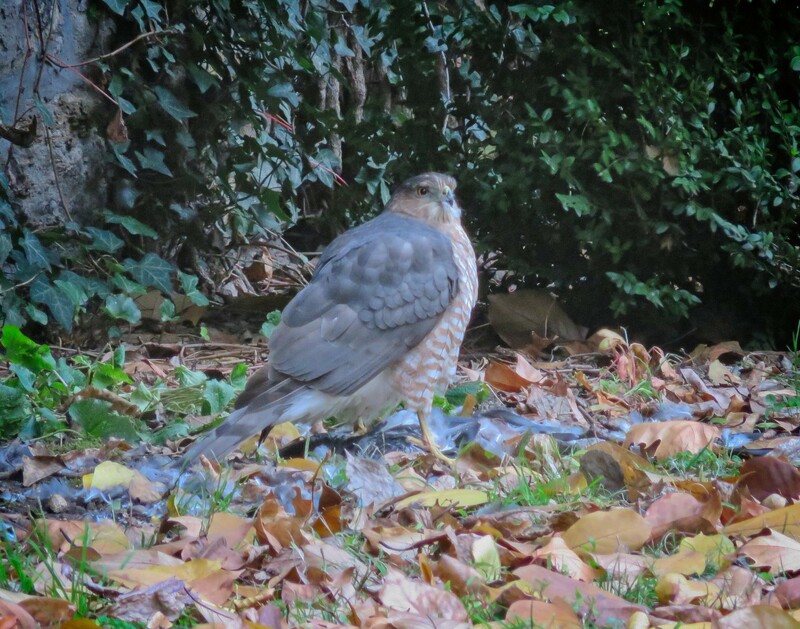 A few days ago, I saw an immature Cooper's hawk catch a robin in Tompkins Square Park. There has also been an adult Cooper's hawk hanging around the area, and today I found it in the New York City Marble Cemetery on E 2nd Street. It had apparently just finished off a pigeon (note the carpet of gray feathers on the ground). 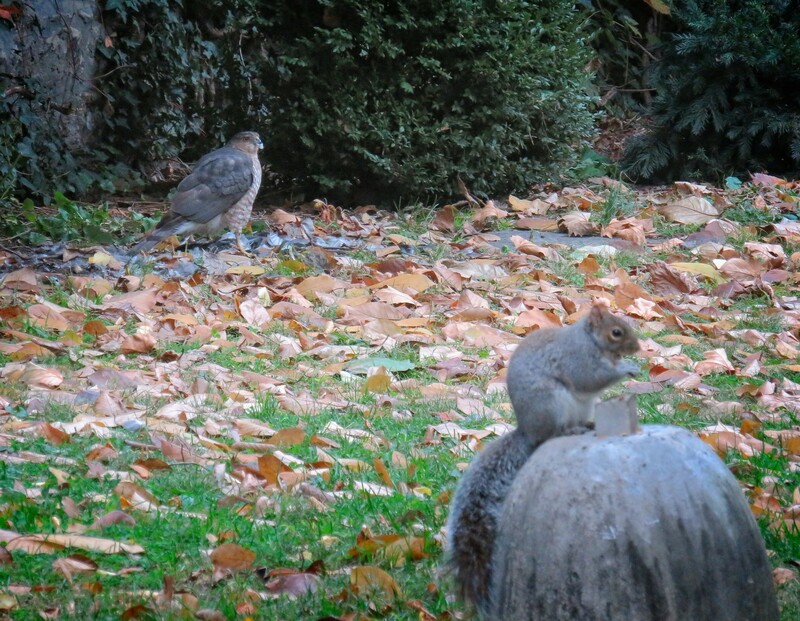 Most surprising, there was a squirrel nearby who seemed so unconcerned about the hawk, it sat on a stone monument with its back turned towards the predator. I didn't have my bird camera with me as it was about to snow, but I did manage to take some video of the hawk and the squirrel. In this clip, the hawk prepares to take off and you can compare its size to the pigeon in its talons. Although the hawk is fluffed up in the cold and seems large, it's smaller than our local red-tails.